Hall’s Warehouse Corporation in South Plainfield, New Jersey operates more than 1,700,000 square feet of temperature-controlled food storage. 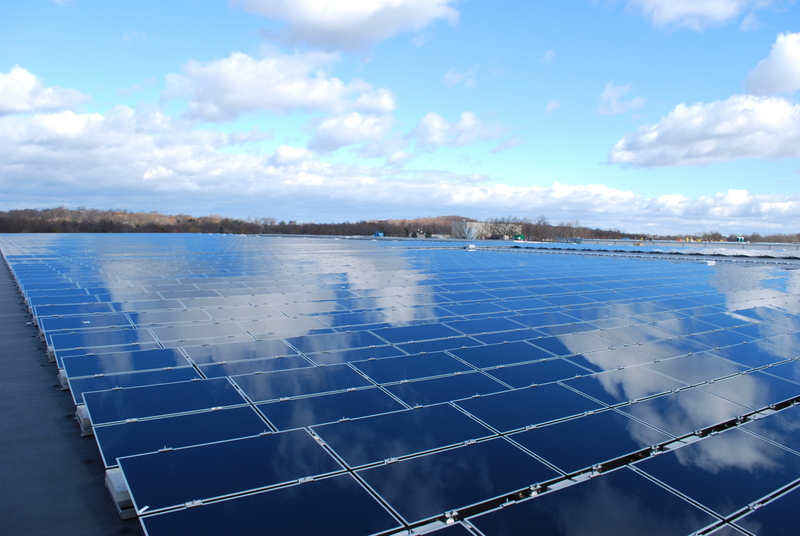 With this installation, the company boasts 3.2 MW (dc) of solar energy, making it one of New Jersey’s largest private commercial rooftop solar systems and one of the United States’ largest net-metered systems. Sold to Sun General Capital in December 2013, the installation contributes to Hall’s goal to reduce their carbon footprint and allows the company to save money. It further demonstrates a commitment to New Jersey’s Energy Master Plan goals, which call for 22.5% of the state’s electricity to come from renewable sources by 2020.